Soil is the foundation of our landscape. It is comprised of sand, silt and clay, mixed with varying amounts of organic matter, water and air. It is a complex and dynamic medium, able to serve many functions. 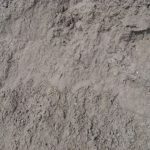 Topsoil, as the name infers, is the uppermost layer of soil. When buying topsoil, a preconceived notion is the darker, the better. While an increase in darkness is often associated with an increase in organic matter, soils which are very dark and grayish may have been dredged from wetland areas. Rock Solid is known throughout the area for hand selecting all materials including topsoils. 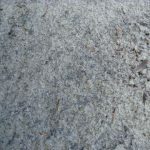 Also know as Dirt Fill or Common Dirt, this product is used for filling in low areas, such as areas with drainage issues. Great for filling in pesky holes from animals. Keep in mind when calculating measurements, the material will pack down. Dark brown dirt, uesd for areas where plants are to be installed. Perfect for annual flower beds. It is always a great idea to consider adding compost to you soil for maximum organic nutrients.